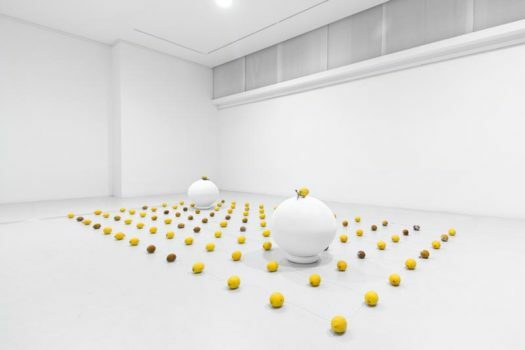 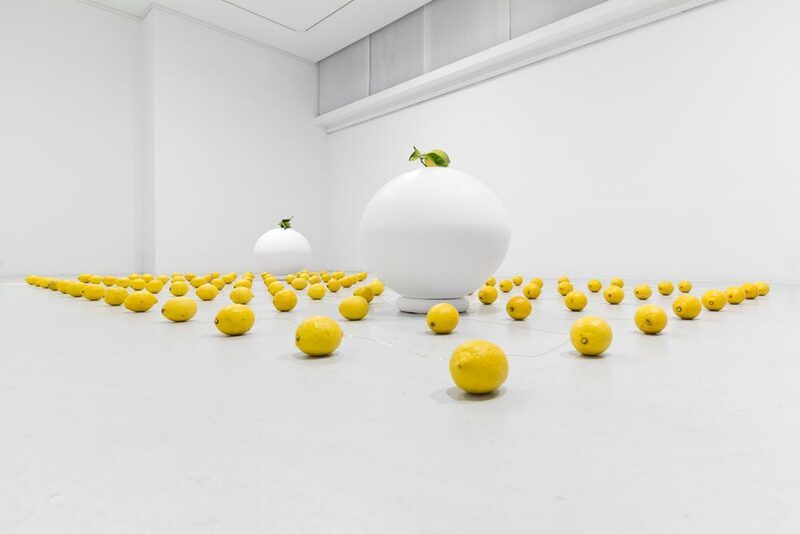 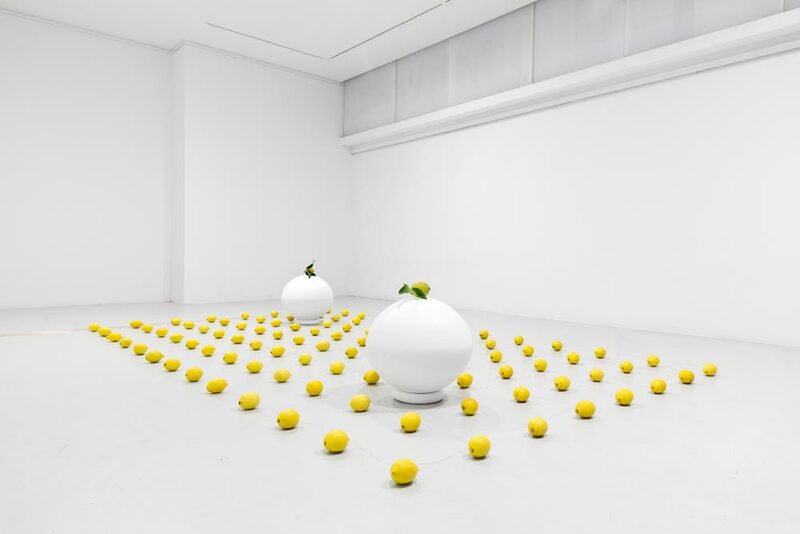 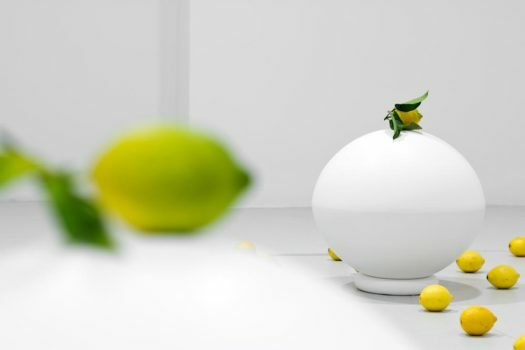 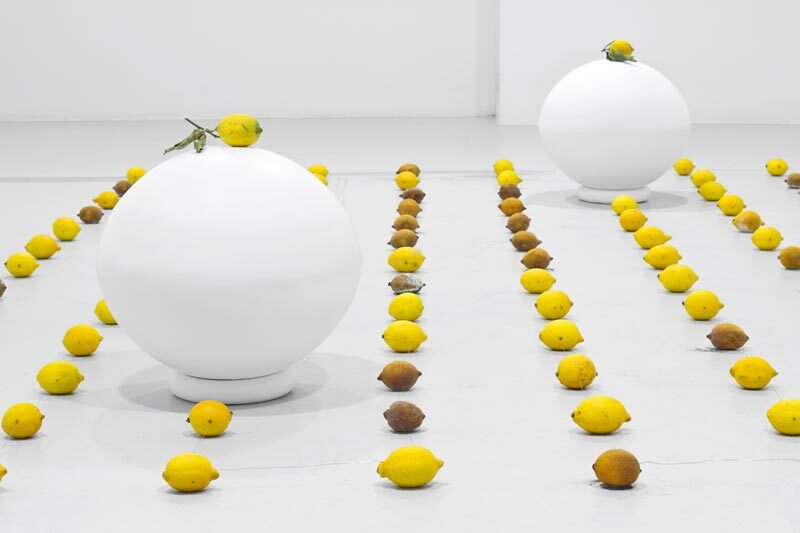 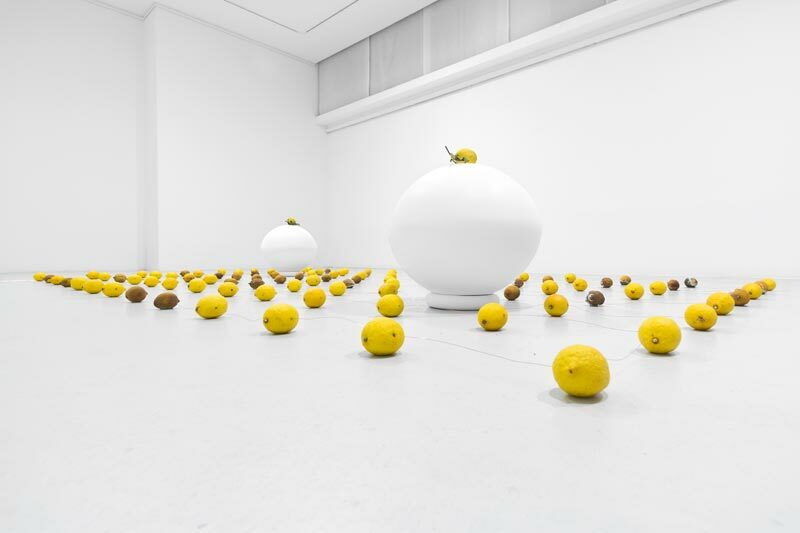 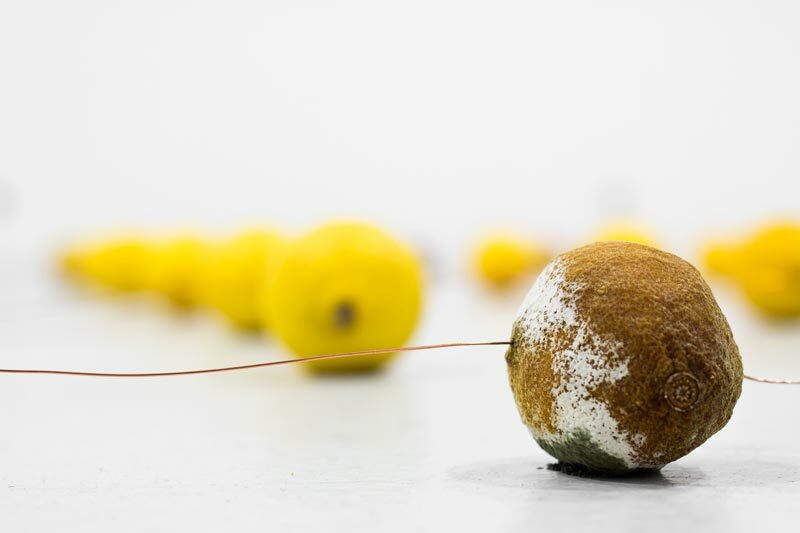 The sound installation Natura Morta recalls the classical artistic concept of “still life”, trying however to analyze, through sound, the vital energy that is still in the fruits. 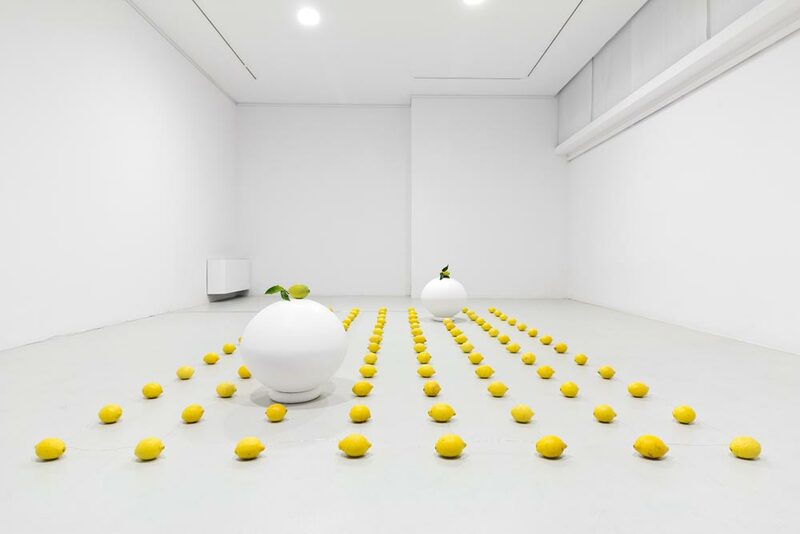 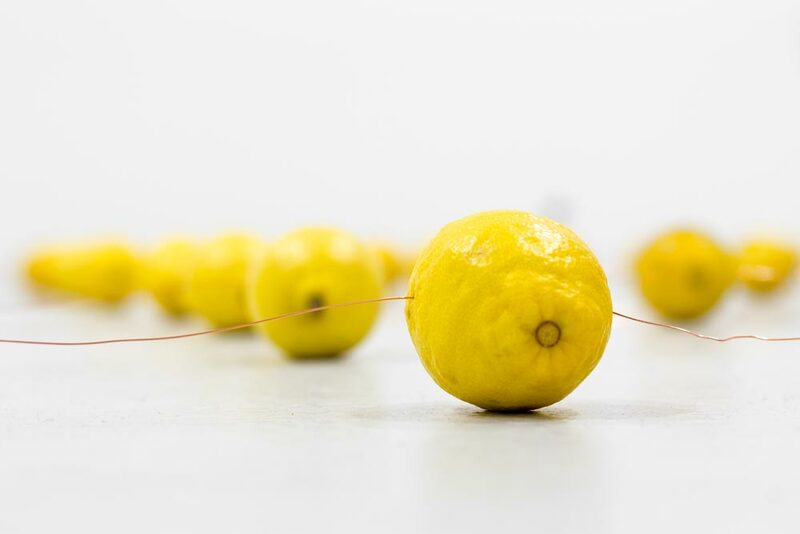 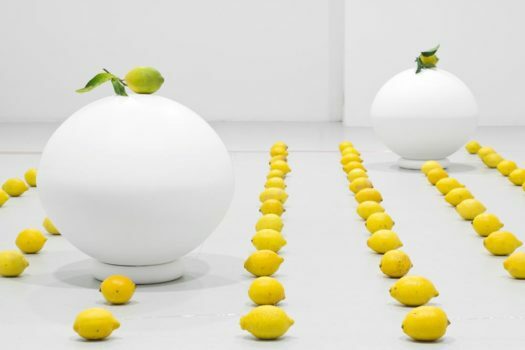 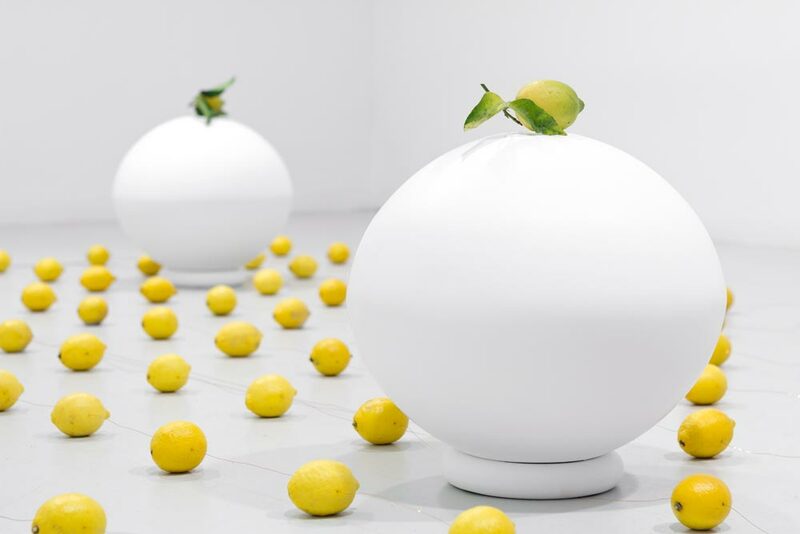 More than one hundred lemons are connected with copper wires to create a room-sized electric circuit that triggers and modulates a few oscillators producing a sound signal that is played inside two ellipsoidal sound sculptures made of acrylic stone. 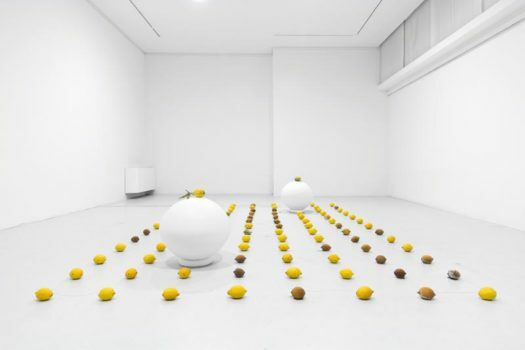 As time passes, the fruits dry out, therefore loosing the possibility of conducing electricity. This way the sound is constantly modulated until the fruits completely rot, no longer sending a signal.